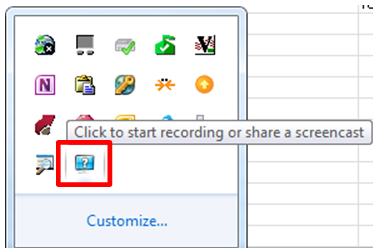 I seem to remember this initiative of having MS-Office users sharing tips and tricks using screencasts has been faded out – but the screen capture tool is still available, and it is not restricted to recording MS-Office applications. It flashes a frame around the recorded area. 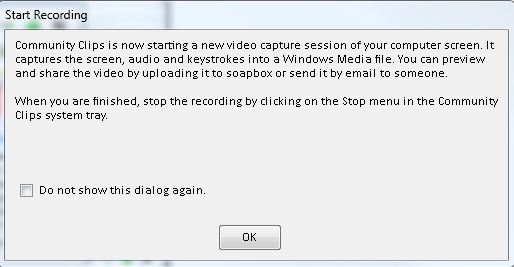 Still, the MS-Office Labs Community Clips Screen Capture Tool seems to have a friendlier interface than Windows Media Encoder, and is as free. Hi Thomas, many thanks for your comment. 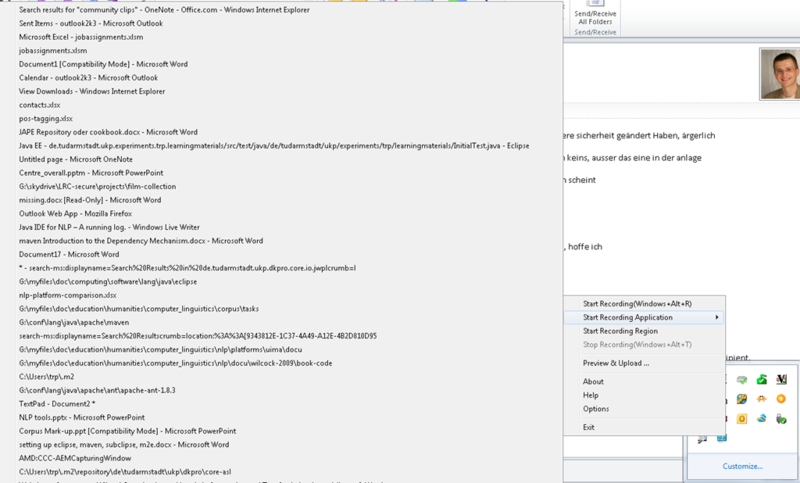 It seems that the URL that the installer put into my registry (http://communityclips.officelabs.com/“) is outdated. I seem to remember that Microsoft had pulled that packaging of Windows Media Encoder (never mind what Community Clips purports to be. 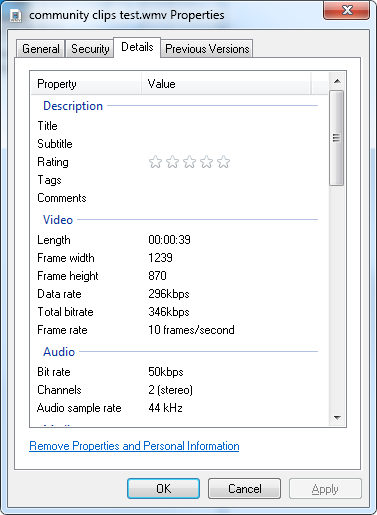 Is Windows Media Encoder itself still available in raw form from MS?). I remember getting a copy of the installer that some friendly soul had put up somewhere. But that link is likely outdated, and I do not seem to have a copy of the software lying around anymore. 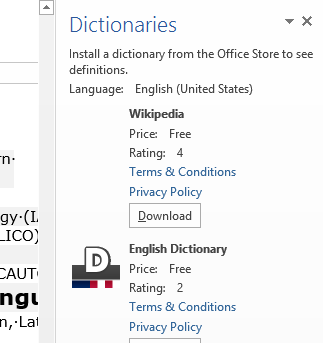 However, have you considered the (itself retired, but still available) MS Expression Encoder? 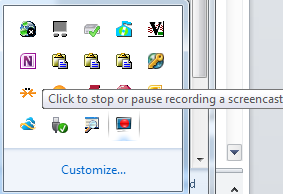 Screencasting with it is superb, only that the free version has a time limit of 10 minutes. 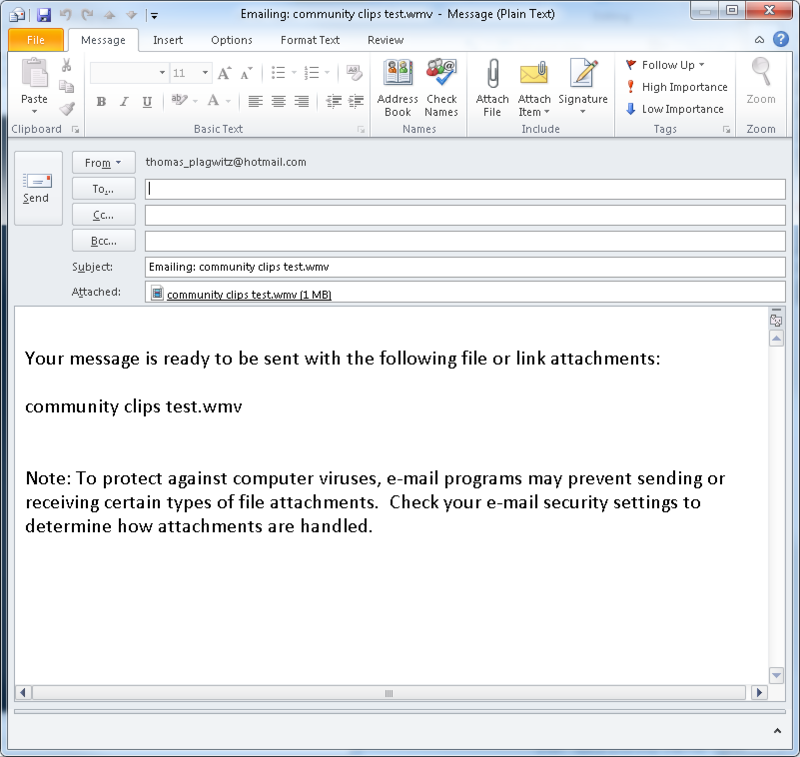 I have community clips (32bit) version for Windows 7 only…. 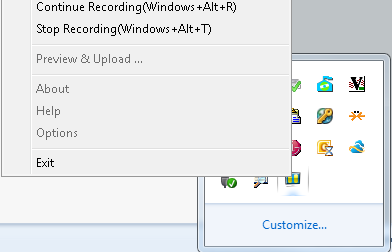 I have 32 bit (windows 7) community clips but not 64 bit (windows 7) …. 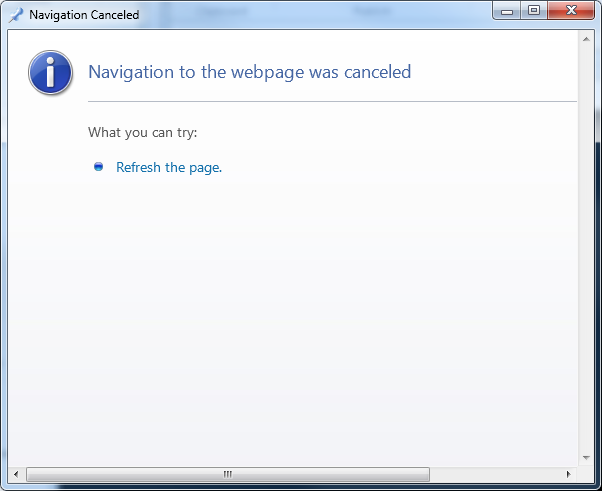 as 32 bit version is unable to installed inside Windows 7 (64 bit)…. Ah, I see. I am afraid not – maybe MS just didn’t bother packaging a second, 64-bit version of Windows Media Encoder as Community Clips? There used to be a Windows Media Encoder 64-bit, if you do not mind that it needs a bit of configuration before producing the same good quality output (just switch to the PRX marked as “high” which are not set as the default). 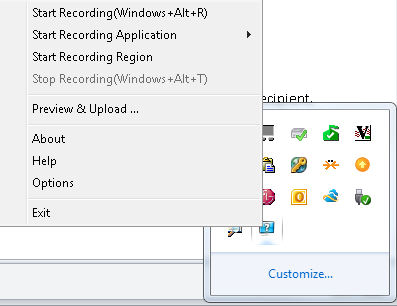 Any idea how could I enforce recording specifically related to an application independently whether its window is shown or hidden? 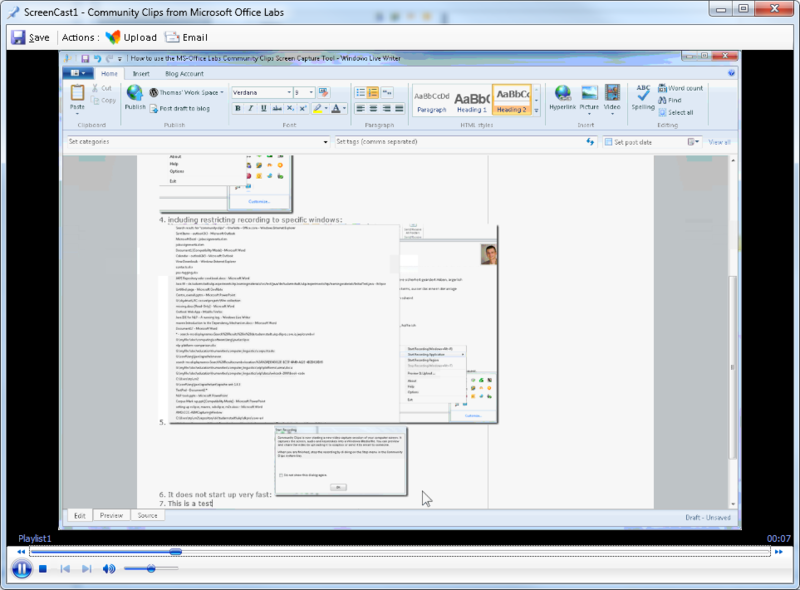 It is only recording the area of the originally selected application. I want to record presentations running in a specific app, even if I switch to other applications. AFAIK Windows does not redraw hidden windows (deemed a waste of CPU). Workarounds have involved making a window to capture from not really hidden (transparent) (http://www.codeproject.com/Articles/20651/Capturing-Minimized-Window-A-Kid-s-Trick) or moving if off the screen (but I doubt whether even the more flexible underlying Windows Media Encoder can capture off-screen parts). 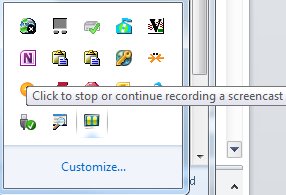 I have captured with Windows Media Encoder and Expression Encoder regions of non-primary screens, but do not think that Community Clips is even flexible enough for that. Its aim seems to have been to repackage Windows Media Encoder with a default configuration that fits the most common screen recording needs.